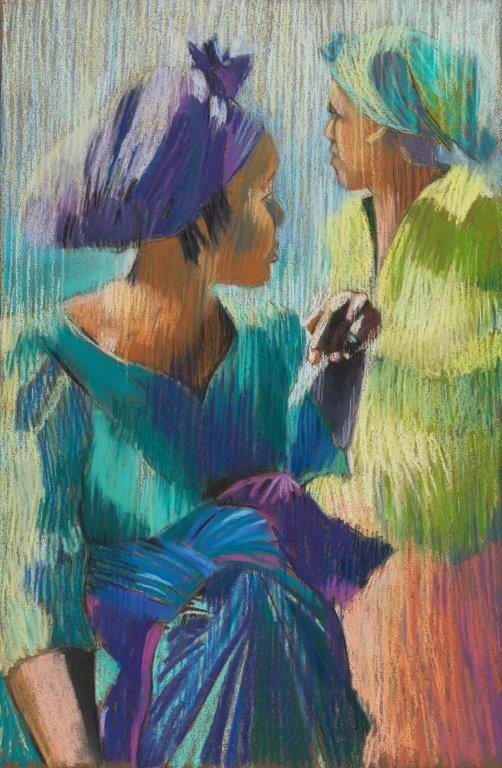 Em Isaacson uses her pastels to express her love of colour, her fascination with texture and exploration of line. involvement with both the British Crafts Council and The Royal Society of Arts. 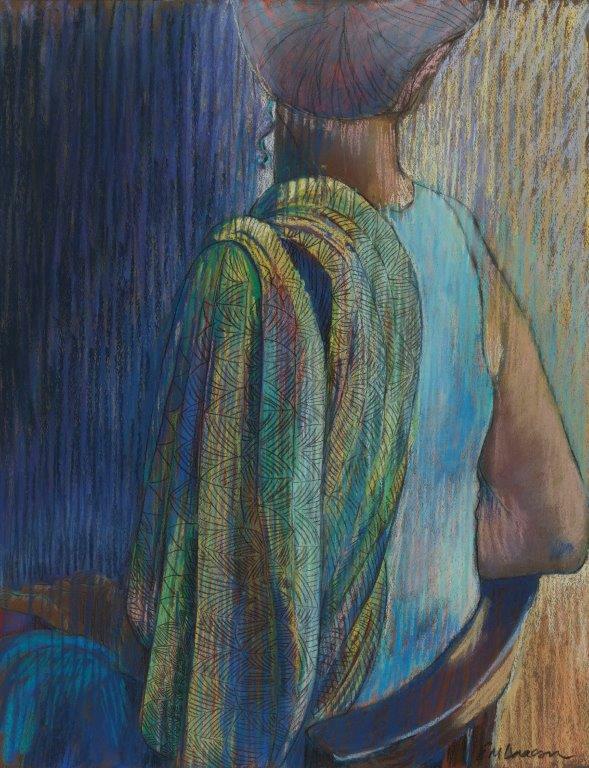 She has developed a unique style of painting from her heritage of weaving and defines imagery by manipulating her pastels as if they were thread, watching an image emerge from the paper, weaving together the power of colour with the control of line to capture the essence of her subjects. 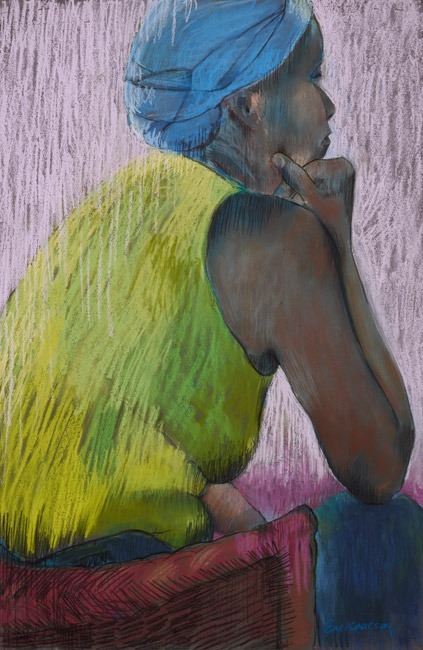 In 1998, she left the UK for South Africa where her work was hung at The Everard Reed Gallery in Cape Town as well as the Residence of the British High Commission. 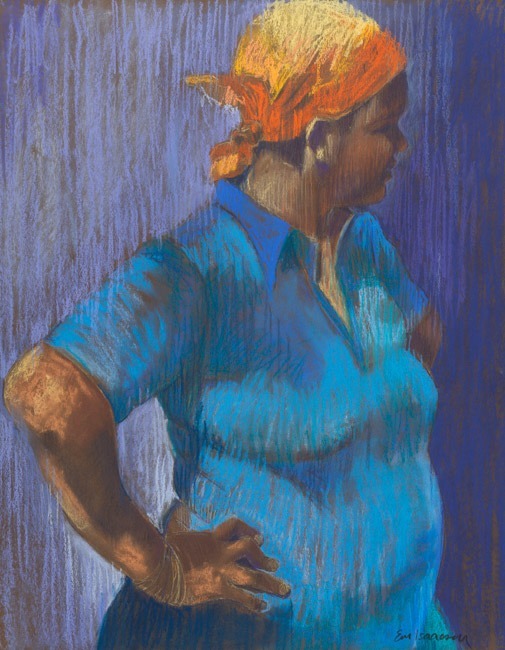 She became noted for her pastel paintings of African women who moved and inspired her. “To embrace them with colour, to define them with line and texture is the only way I know to express my admiration for their beauty and their strength”. In London her work has been shown at the Boundary, Thompson and Catto galleries as well as being held in both private and worldwide corporate collections.